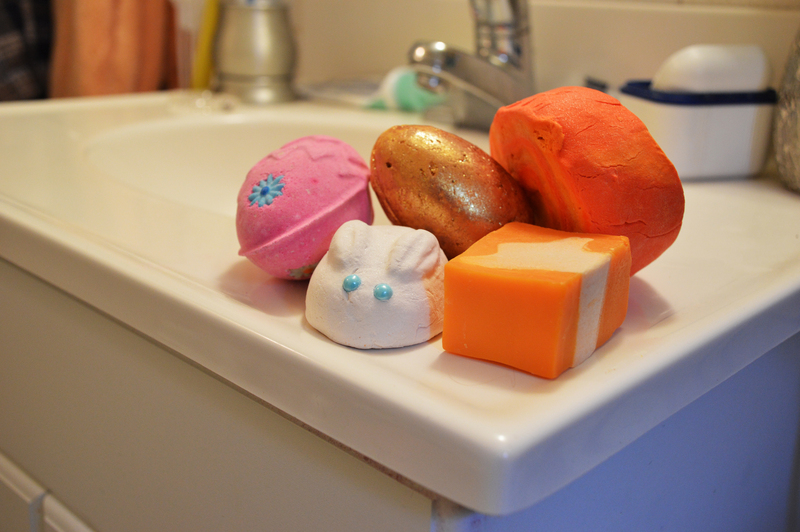 Disclaimer: From time to time I am given products in exchange for a review. Although products and items are gifted to me by brands/companies, this does not have any affect on my judgment or the OrganixLocs brand. Therefore all written content is my opinion and voice only. All images are captured by AJ James of RuggedlyGroomed. When I noticed there were a few new collections added to Sebamed since the last time I gave them a try, I reached out to them and scored with a selection of skincare goodies to try! This was the perfect brand to team up with because Sebamed cares about skin health just as much as I care about healthy hair. 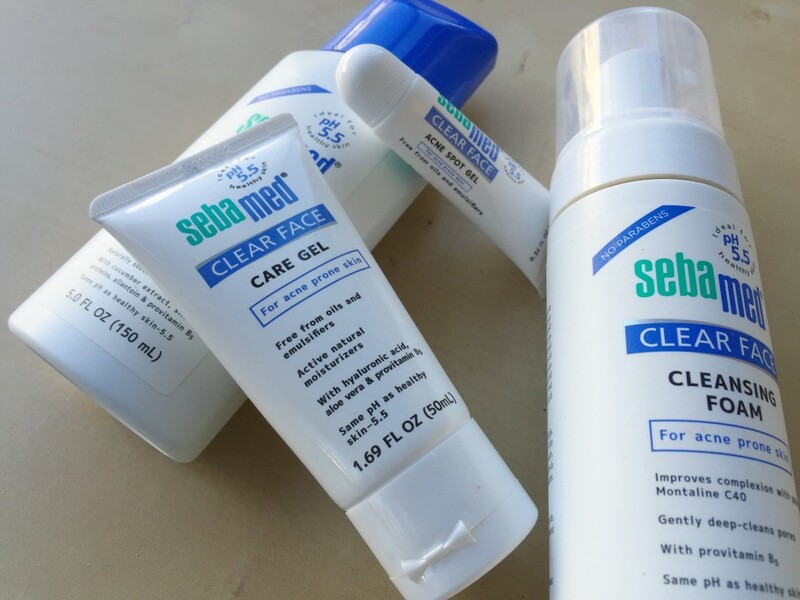 I started off with the Clear Face collection since it was geared towards acne prone skin for a girl like me! The Clear Face Cleansing Foam ($19.99) was gentle, soothing and moisturizing all in one. I could actually feel the moisture even after rinsing my face which is really important because some cleansers can be over drying. I haven’t tried many foam cleansers in my day so this consistency was something different that I don’t mind sticking to in the future. 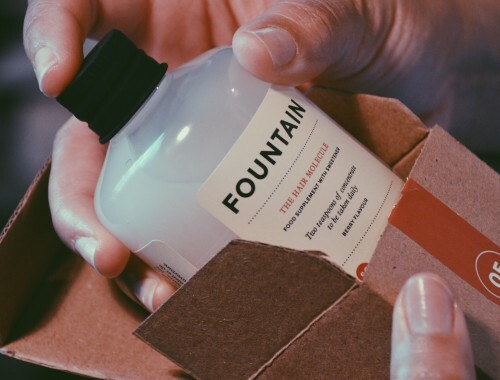 The directions also suggest allowing the foam to sit on the skin for 5 minutes so there is no denying that the cleanser reaches deep into the pores. With my oily skin I need all the deep cleaning I can get! Once the skin is cleansed the second step is the Clear Face Deep Cleansing Toner (15.49). 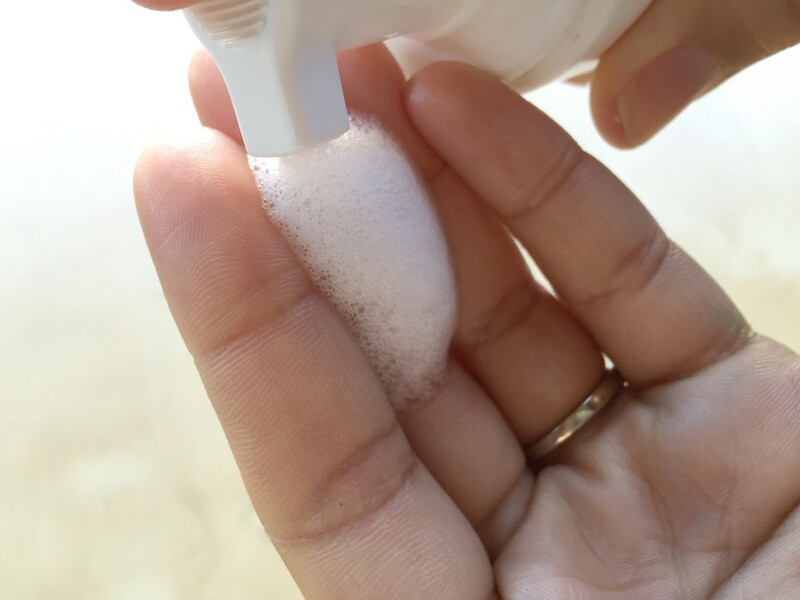 With a cotton ball you lightly rub the toner around your face. This didn’t work well for my skin because using the toner directly after cleansing was a bit to strong and over drying. I found it best to use the Clear Face Toner midday if I’m coming from outside and want to refresh my face before heading back out the door. Using it this way removed all the dirt and extra oil my face accumulated throughout the day, however, you may find that you would use it differently since skin types vary from person to person. The third step was the Clear Face Gel (19.99) to replenish the skin’s moisture level. The gel has soothing anti-inflammatory properties from the Aloe Vera but I was way more excited about the hydralonic acid that’s known to boost the skin’s elasticity by increasing its moisture level. 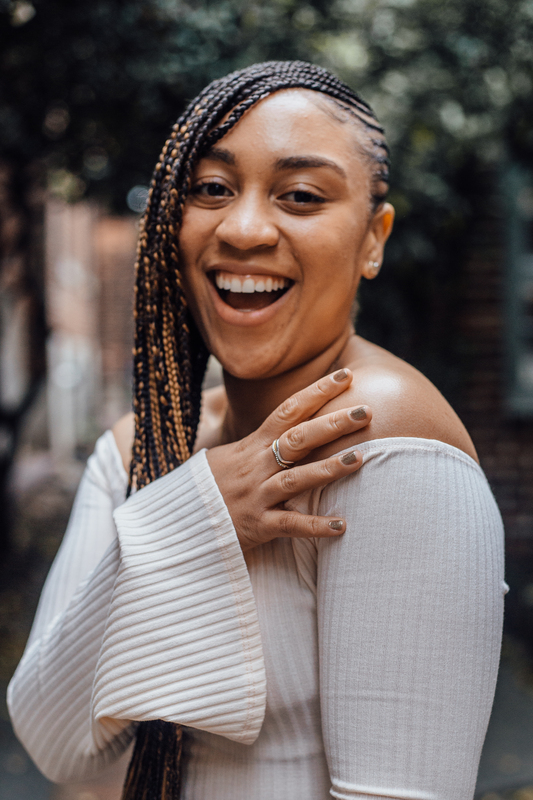 I had already incorporated this particular ingredient into my routine so it also gave me another reason to ditch the other product I was using too… shhh don’t tell anyone! The fourth step was the Clear Face Acne Spot Gel (14.99). I used this treatment the least only because I have topical acne medicine prescribed by my dermatologist that I use so I stuck to that part of my regimen. I would carry the Clear Face spot treatment as a travel essential like my day trips away from Philly or weekend getaways. The size is suitable for on the go treatment to stop those random breakouts that pop up during the day (I hate when those happen!). Just be cautious when opening the tube of gel as I find that it overflows a bit when the cap is removed so store it in a cool place as well. 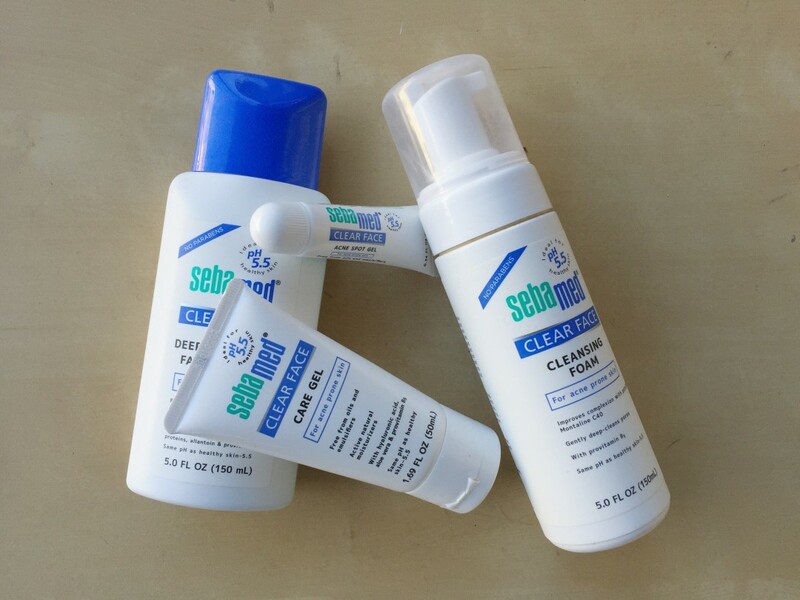 Each of Sebamed’s products serves a major purpose for balanced skin and educates you about all the ingredients used as well. I also have to commend Sebamed for keeping their product’s ingredient list at a minimum with no more than 10 ingredients listed which is great for the rule of thumb I like to live by—the less ingredients listed in a product minimizes how much my skin and body will absorb. You can purchase each of the products at SebamedUSA.com or check your local drugstore in your area. Tell me what your thinking by leaving your comment below too and I’ll have another Sebamed review on the way as well.